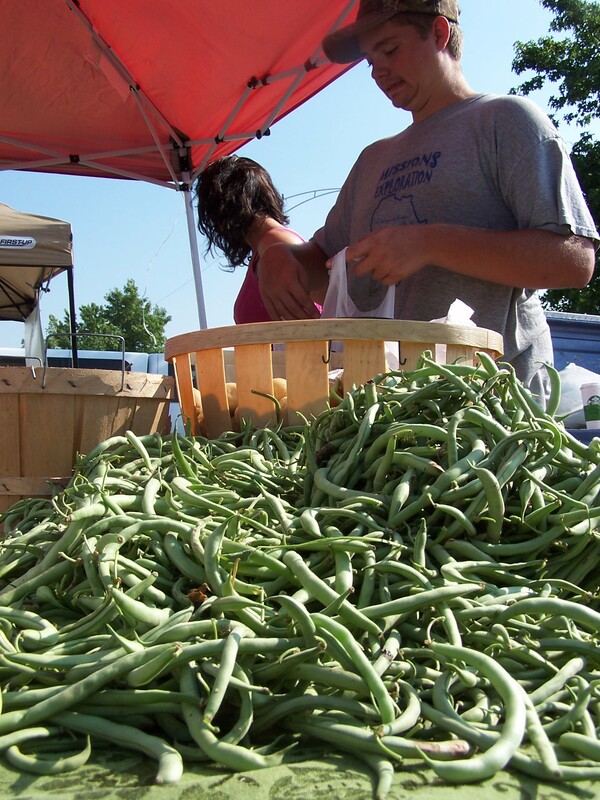 The Market Lady, Lane McConnell, will visit the Downtown Greater Springfield Farmers Market in Springfield, Mo., Thursday, July 21. The Market Lady and video crew will begin at 3:00 p.m., with two cooking demonstration incorporating products from the market and will be interviewing producers and consumers for various other segments. Below is one recipe that The Market Lady will be preparing at the market. Be sure and come out to the Downtown Greater Springfield Farmers Market on July 21 to meet the Market Lady and video producer Kelsie Young, downtown Springfield at Jubilee Park. Preheat oven to 450°F. After removing skins from the tomatoes, cut tomatoes in quarters and remove the seeds and juice. Chop tomatoes finely, then place tomatoes, garlic, 2 Tbsp. extra virgin olive oil, vinegar in a bowl and mix. Add chopped basil, salt and peppercorns. Slice baguette on a diagonal about 1/2 inch thick slices. Drizzle one side of slice with olive oil and place on a baking sheet, oiled side down. Toast for 5-6 minutes, until the bread just begins to turn golden brown. Place toasted bread on a serving platter and top with topping.